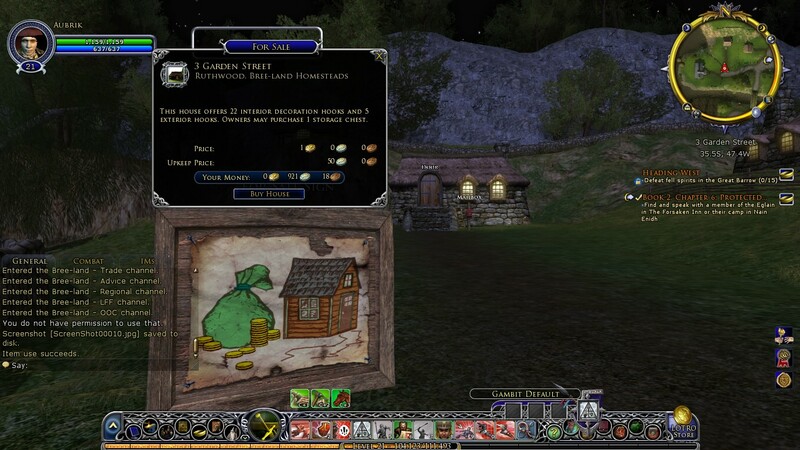 Lord of the Rings Online offers housing options that are not prohibitive in price. A starter home only costing about 1 gold. 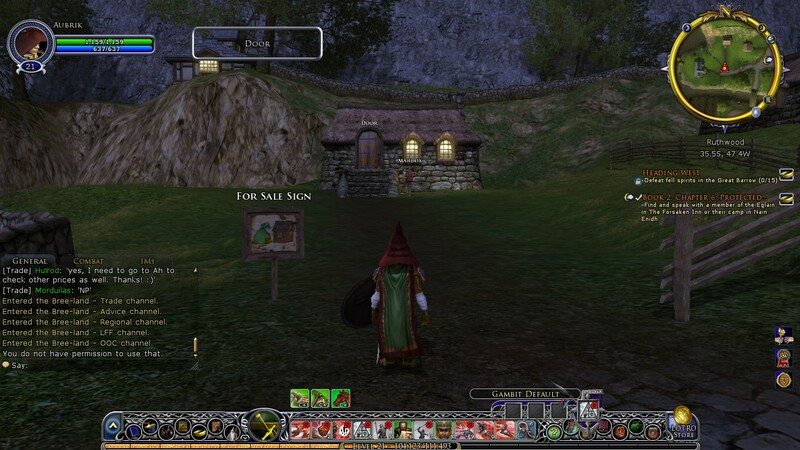 My interest piqued, I decided to visit the local real estate agent in Bree. I was quickly given a list of homes available. Not knowing if one neighborhood was better than another (I have no idea what school districts are like in Bree), I randomly picked a neighborhood to see what was offered. I love the cartoon drawing of the house. It's the little things. The house was small, situated on a good piece of property, and had a convenient mailbox located outside. Inside, the floors were bare and the walls ready to be decorated with my spoils of war. Now, I do want to note that while there are no utility costs involved, there is a monthly upkeep fee (in the case of this house, 50 silver). Wonder if that is for both the gardener/ housekeeper? 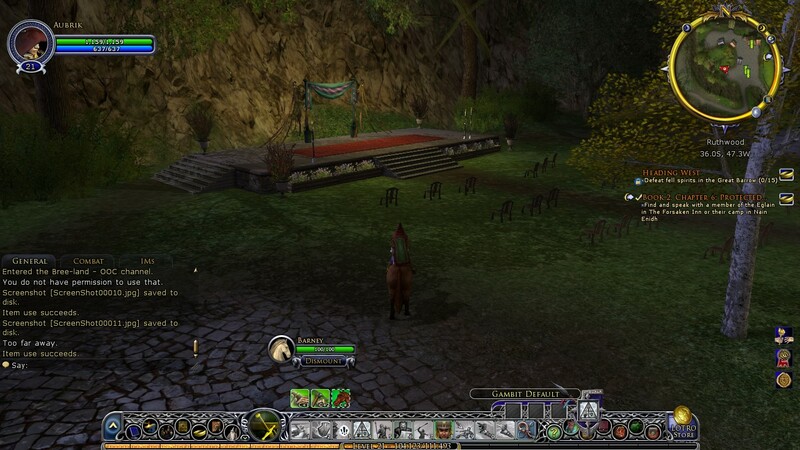 Having seen enough of the house, I rode around the neighborhood and happened upon an area meant for parties. Wonder how many this area holds? I was all ready to purchase a house, however, I found myself a bit short on funds. A few more adventures across Middle Earth should do the trick. I’ll be sure to post a picture of my house once I have settled in. Until next time.